In a letter to Chief Minister of Kerala, Mr. Pinarayi Vijayan, senior activists and politicians have insisted that the Kerala government should not agree to “inhuman displacement and build-operate-transfer (BOT) Toll system”, imposed by the Government of India and the National Highway Authority of India, for widening the current National Highway (NH) 66. 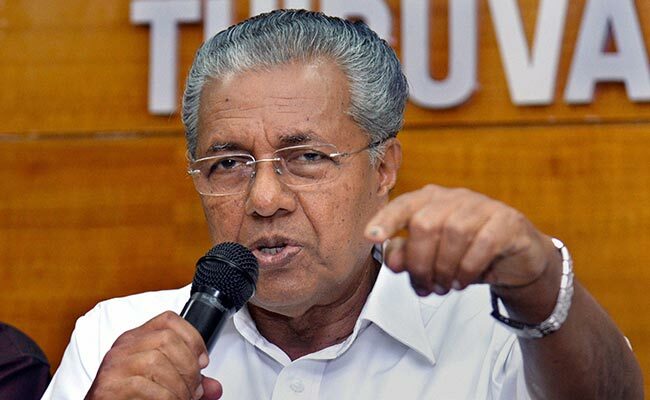 Kerala Chief Minister Pinarayi Vijayan, who belongs to the Ezhava community, on Thursday said that people continued to talk about his caste. Prominent Kerala politician and writer Simon Britto died at a private hospital on Monday. The Congress-led United Democratic Front bagged 12 seats, while the Bharatiya Janata Party secured two. The Socialist Democratic Party of India also won two seats, as did independent candidates. Minister of State (MoS) for Tourism KJ Alphons on Monday said that the situation at the hill-top shrine of Lord Ayyappa is worse than an emergency situation. A string of protests was witnessed in Kerala in October when the temple opened for the first time after the Supreme Court passed the order, allowing women of all age group to enter into the shrine. Earlier, the entry of women aged between 10 and 50 years was prohibited into the shrine.